There are six legislative assembly constituency in Budaun district for the 2017 Assembly elections. They are 115 Badaun, 114 Bilsi, 112 Bisauli, 117 Dataganj, 113 Sahaswan, 116 Shekhupur. When Uttar Pradesh assembly election 2017 is getting ready to electios new Assembly, Budaun is not anywhere behind in the election heat. Budaun district (Hindi: बदायूँ जिला) is one of the districts of Uttar Pradesh state of India, and Budaun town is the district headquarters. 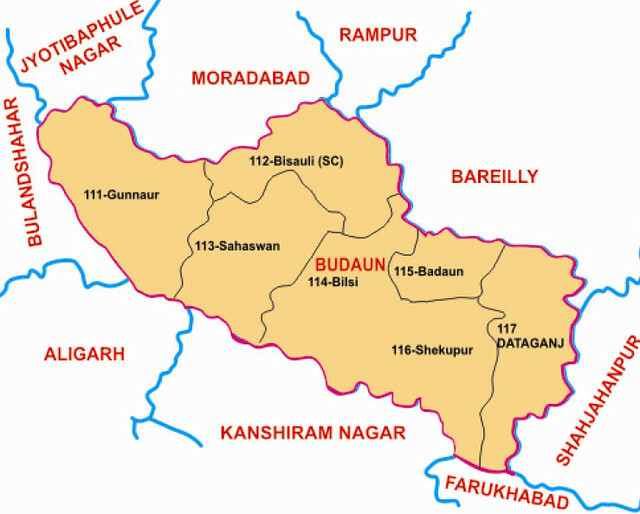 Budaun district is a part of Bareilly division. The district covers an area of 5168 km². According to the British historian George Smith, Budaun was named after Ahir prince Budh.